Simply tells us the product name, product code and how many kits you need. We will get back to you with a quote and details of delivery. We ship worldwide directly from the UK or via local distributors. Our experienced team can provide comprehensive technical support for all our products and advice relating to their clinical utility. 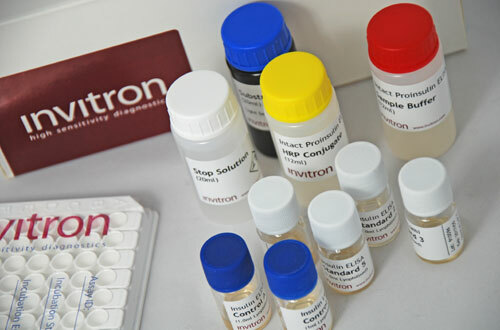 The Invitron Intact Proinsulin Assay is an immunometric assay for the quantitative measurement of intact proinsulin in human samples.